Temperatures in the mountains average 20 to 30 degrees colder than the cities, but staying warm is easy. The best choice is water-resistant, layered clothing that can be added or removed as the weather changes. It is always best to be prepared as conditions can and do change rapidly at high elevations. If your clothes are not water resistant, a water repellent spray can be applied. With your equipment, be sure to include warm gloves and a hat or beanie. Remember, the majority of your body’s heat is lost through your head. A simple beanie can do wonders to keep you warm, especially during a storm or periods of snowmaking. Ultraviolet rays are more powerful at high elevations as well. Regardless of skin color or complexion, everyone needs to wear protective sunscreen and UV-certified sunglasses even on overcast days since ultraviolet rays can penetrate the cloud cover. 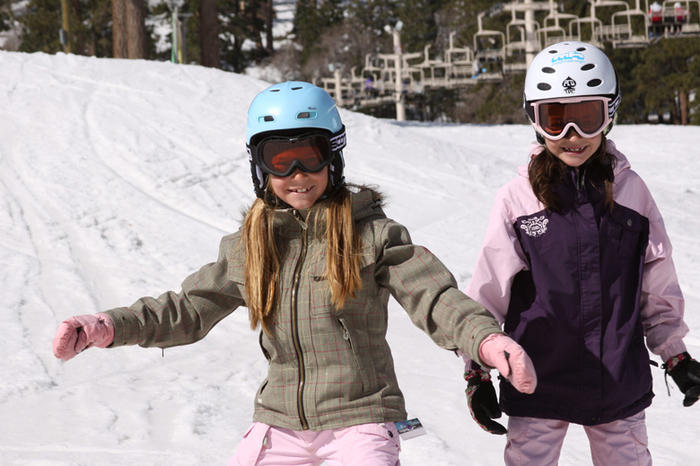 Should you forget any of these important items, the Mountain High Sport Shops, located at both resorts and in the town of Wrightwood, carry the latest in clothing and equipment for winter enthusiasts.